Anissa Vines’ research interests include community-based epidemiology, psychosocial determinants of racial/ethnic health disparities, and psychosocial factors that contribute to improved cancer caregiving and survivorship in women. Her research focuses on the examination of perceived racism as a chronic stressor and other psychosocial stressors in the lives of women and their affect on chronic health conditions (e.g., obesity, cancer, uterine fibroids). 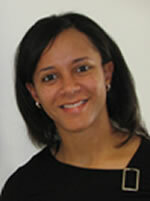 Dr. Vines received her doctorate in epidemiology from the University of North Carolina at Chapel Hill. She completed her doctoral research in the Epidemiology Branch at the National Institute of Environmental Health Sciences as an intramural research fellow where she developed the Telephone-administered Perceived Racism Scale (TPRS) and conducted an ancillary study to the Uterine Fibroid Study. Dr. Vines is currently a research scholar in the NIH K12 Building Interdisciplinary Research Careers in Women’s Health (BIRCWH) program at the University of North Carolina at Chapel Hill. She also co-directs the Ethnicity, Culture and Health Outcomes (ECHO) program.